Yay, the weekend is here. am super excited, hope things do get back on track after a long time, some of you might remeber about my MIL's surgery. Had been so busy since then that I could barely devote time to my blog, even though this is my life :(. But surely thing shave started looking up, and since I did some hauling over my birthday, it's time for some interesting reviews. Today, I am reviewing a hot pink eyeliner from Lakme Fantasy Collection, which I recently hauled from Violetbag (shown here). Price: INR 275 for 3.5 ml of the product, I got this on a discounted price of INR 261 from violetbag. Packaging is quiet nice, with a chotu bottle having a longish metallic cap housing the thin brush, the cap gives you good control over eyeliner application. 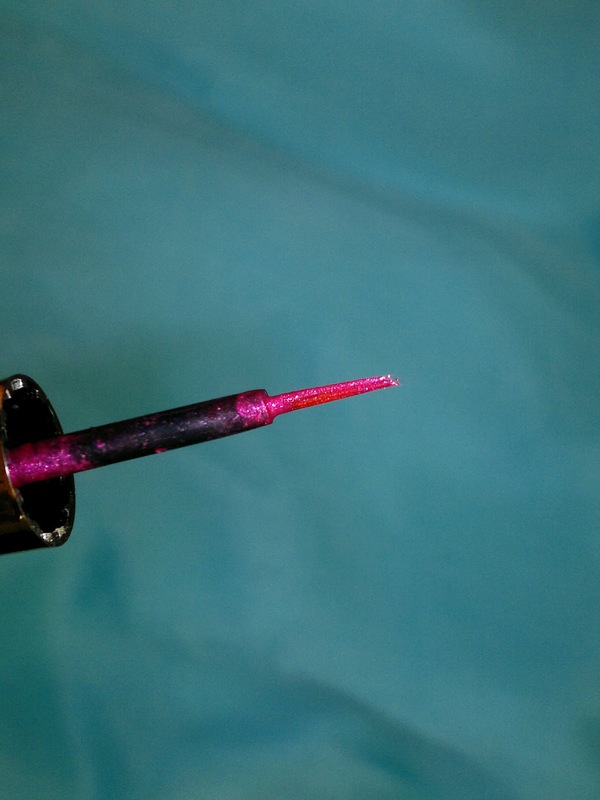 As you can see the brush is of a very good quality, gives you the thinnest line possible and the cap offers a good control while application. You can see from the swatch that it s a true hot pink with micro silver shimmer, which is not pronounced once it dries on your lids. 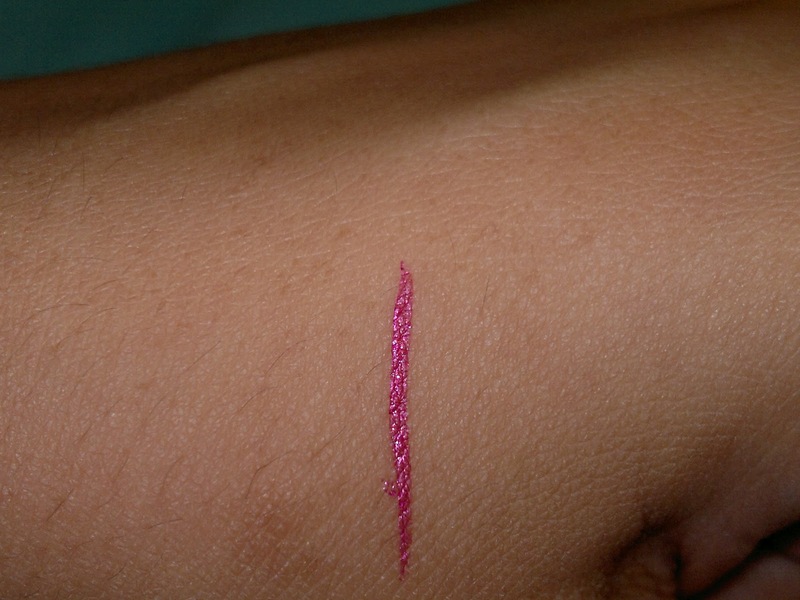 The glistening effect you get is due to the color of the eyeliner itself. The eyeliner applies easily with the brush provided and is super pigmented, giving you enough color with one swipe. 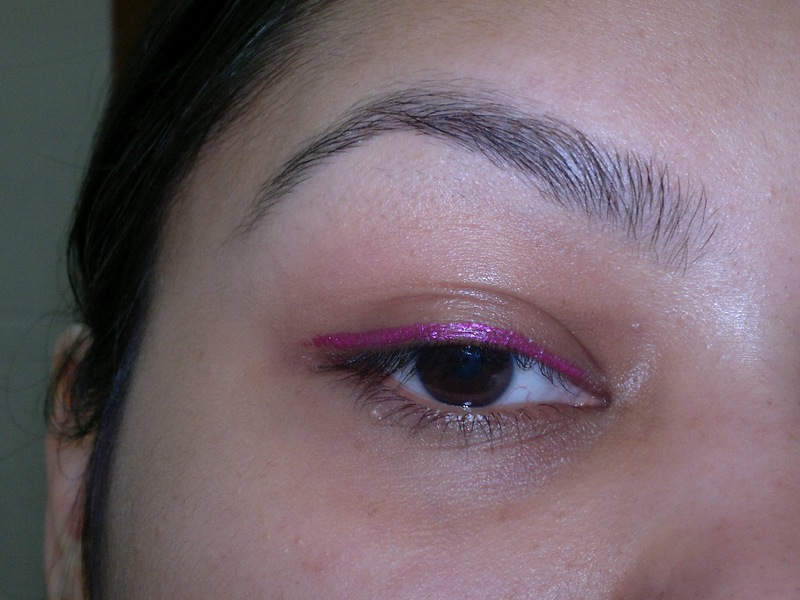 Once the eyeliner dries, it becomes transfer resistent and doesnot move over my eyelids. Also, once the swatch dried, I tried washing it off with water, but it didn't budge and I had to remove it with a makeup remover only. So, basically the liner stays on your lids without creasing , fading, smudging or transfering for the whole day. Product rating: A+, this particular shade is hard to come by as it is out of stock at most places, I got it from online shopping website (shown here), and should be available at Lakme counters as well. 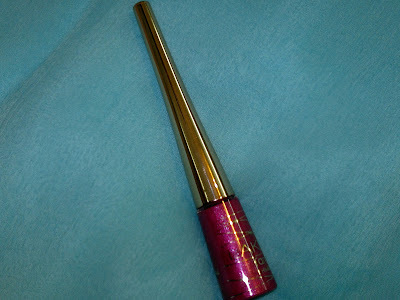 Would definitely recommend this to all you girls as HOT PINK is so much in, be it on eyes or lips. The quality of this eyeliner is quiet good, and I would definitely try more shades from this range. It looks nice on you kumkum ji, i favorite ones are in blues and greens..